Riley Shiner is obsessed with Escape from Shudder Mansion, a video game based on a real spooky house in his neighbourhood. But he’d never go near the place itself. It’s just too scary. It’s full of monsters and evil spirits, and shadows that creep around at night. But Riley’s about to learn that you don’t play this game. It plays you. Now he’s inside Shudder Mansion for real. Just imagine all the bad stuff that could happen to him there. Actually, you needn’t imagine it. Slappy’s going to describe it all in gory detail. He calls this story Escape from Shudder Mansion. But the joke is – there IS no escape! Ha ha ha! Goosebumps cast a spell upon children by transforming even the most reluctant students into avid readers. Despite the fact that almost every book has a different collection of characters, the series has one common element that kids can’t get enough of: THE AUTHOR! Kids reading Goosebumps may be looking for a scare, but the laughs they get are no accident. Before he was R.L., he was Jovial Bob, author of such works as 101 Silly Monster Jokes, and Bozos on Patrol and editor of Bananas magazine. His ability to know what kids will laugh at , as well as what will frighten them, makes the Goosebumps series all the more enjoyable for his readers. Stine started writing when he was 9 years old! He would write stories and jokes on an old typewriter and hand them out at school. “The teacher would grab them and take them away,” Stine says, “but I kept doing it.” He wrote for his high school newspaper in Columbus Ohio. After graduating from Ohio State University, he moved to New York City, where he worked on a variety of writing jobs. Although his books are fun and exciting, writing them is serious stuff. He treats writing “…like a job.” To unwind after work he enjoys playing the pinball machine conveniently located in his own apartment. For aspiring authors, Stine feels reading is as important as writing. 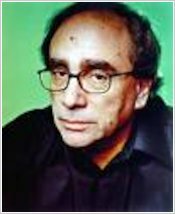 He offers this advice: “If you want to be a writer, don’t worry so much about writing. Read as much as you can. Read as many different writers as you can. Soak up the styles. You can learn all kinds of ways to say things.” As a boy he read Norse legends, Greek myths, Edgar Allan Poe and baseball stories. “And Mad Magazine changed my life” His favorite thriller? Something Wicked This Way Comes, by Ray Bradbury. 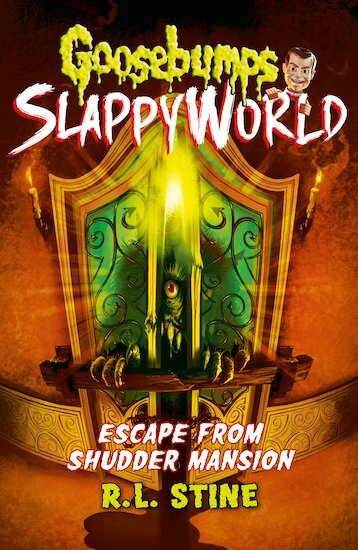 Goosebumps Slappyworld #2: Attack of the Jack!